People LOVE to say that Japanese is difficult. Like all languages it has its challenges - but it also has some key things that make it easy peasy. Compare that to English, where “meat” and “bread” have the same letters “ea” in the middle, but with totally different pronunciation. And, unlike Mandarin or Cantonese, there are no tones in Japanese! Hurray! Japanese has thousands of words borrowed from other languages - and most of these modern loanwords come from English. How do you say "ice cream” in Japanese? AISU KURIIMU. Tennis? TENISU. Smartphone? SUMAATOFON. So there’s a whole bank of Japanese words that you already know. Well done you. Will you go to Japan? No need to change the word order. Just add か. Making simple Japanese questions - as easy as adding “ka”. Particles are short Japanese words that connect parts of a sentence together. They turn a sentence like “I study home evening” into one that sounds like “I study at home in the evening”. If you don’t know what particle to use, 90 percent of the time you can get away with not using one at all. People will still know what you mean - and Japanese people drop particles in speech half the time anyway. That’s not to say you shouldn’t learn how to use particles (it’s good to know the difference between いぬがたべる “the dog eats” and いぬをたべる “I eat my dog”). But remember: you will still be understood without them. 5. No "articles…and no plurals! AND there are no plural forms. See? The Japanese language. Easier than you thought. 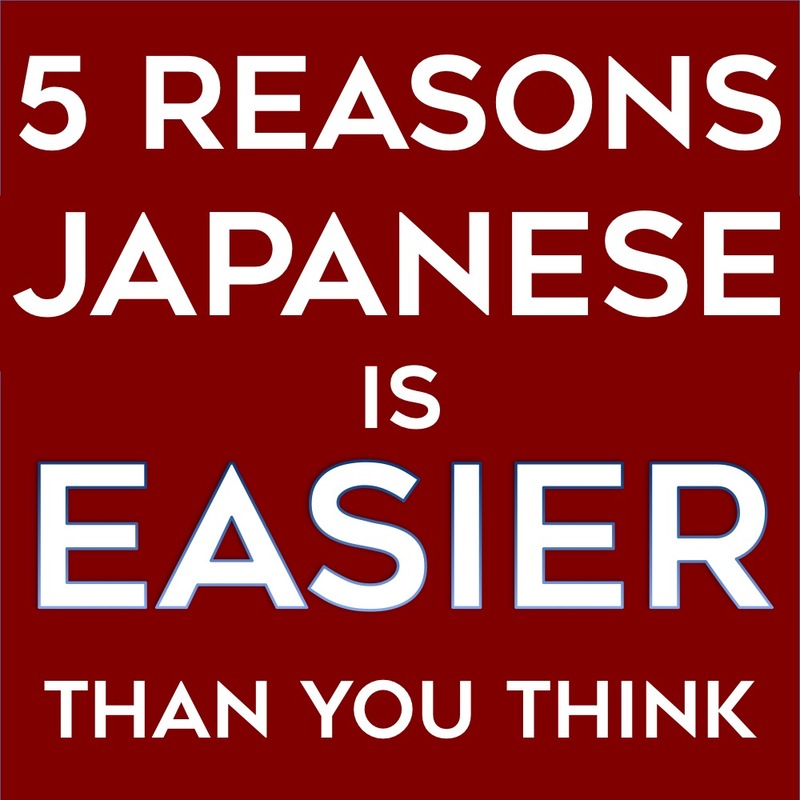 What do you find easy (or difficult) about learning Japanese? Let me know in the comments!